Convert different video formats to MP4 format to playback on PS3 with Free Video to Sony PlayStation Converter. The program supports popular model as PS3 and features advanced Preset Editor. You can save videos in high, standard and economy quality. Convert Video files to MP4 format (H264, AAC) to playback on Sony Playstation. You can save videos in high, standard and economy quality. Free Video to Sony Playstation Converter supports such popular Playstation model as Sony Playstation. Convert different video files to MP4 format to playback on PSP. You can save videos in high, standard and economy quality. 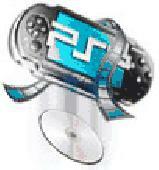 Free Video to Sony PSP Converter supports all popular PSP models. Advanced Preset Editor. No spyware or adware. Convert different videos to MP4 to playback on Sony Ericsson phones with Free Video to Sony Phones Converter. The program supports all popular models and features advanced Preset Editor. You can save videos in high, standard and economy quality. Aiseesoft Walkman Video Converter, advanced Sony Walkman Video Converter to convert video to Sony Walkman video MPEG-4, H.264, AVI. The powerful video decoder boosts up your Sony Walkman video experience. Okoker DVD to PSP Converter is a simplified version of PSP Converter for convert DVD to Sony PlayStation Portable. It can rip your DVD to PSP video files with highest conversion speed and best conversion quality. Split Join Convert Video is a versatile tool to split, join or convert video files. Supported video formats include AVI, DivX, XviD, MPEG1, MPEG2, VCD, SVCD, DVD, WMV and ASF. This program support batch job processing. . .
Nidesoft DVD to PS3 Converter is a program designed for Sony PS3 users who want to convert DVD to Sony PlayStation. Nidesoft DVD to PS3 Converter is a program designed for Sony PS3 users who want to Convert DVD to Sony Playstation. This tool can rip DVD to PS3 MPEG-4 Video with different resolutions (480p, 720p, and high-definition 1080p) and music like MP3 and AAC. Aiseesoft Sony Ericsson Video Converter is a Sony Ericsson video converting software to convert all popular video and audio files to Sony Ericsson compatible video and audio formats with super fast converting speed. 4Easysoft PS3 Video Converter, as the all-in-one and full-featured PlayStation 3 video converter, converts your video into high quality movies playable on Sony PS3. It can both convert video to PS3 video formats and extract audio from video to MP3. iCoolsoft Sony Walkman Video Converter can convert video or audio files to Sony Walkman formats . The supported input formats include MPG, MPEG, MPEG 2, VOB, DAT, MP4, M4V, TS, RM, RMVB, WMV, MKV, AVI, 3GP, 3G2,FLV, SWF, MPV, MOD, TOD, MOV, etc. Anyviewsoft Sony XPERIA Video Converter is a impeccable Sony XPERIA Video Converter software to convert any video to Sony XPERIA x1 MP4. Alice DVD any Video to Sony PSP Converter v4.88 is design for anyone who want to play video clip in sony psp player, it is a total solution for convert DVD and all kinds of Video to Sony PSP mpeg4 video. Alice DVD any Video to Sony PSP Converter v4.88 is design for anyone who want to play Video clip in Sony psp player, it is a total solution for Convert DVD and all kinds of Video to Sony PSP mpeg4 Video. it can Convert DVD movies , IFO, VOB, RM, RMVB, WMV, asf, AVI, XviD, H.264, Mpg, dat, MOV,Q T, Mpeg2, MP4, MP3, FLV to PSP mpeg4. Jason DVD any Video to Sony PSP Converter v4.88 is design for anyone who want to play video clip in sony psp player, it is a total solution for convert DVD and all kinds of Video to Sony PSP mpeg4 video. Jason DVD any Video to Sony PSP Converter v4.88 is design for anyone who want to play Video clip in Sony psp player, it is a total solution for Convert DVD and all kinds of Video to Sony PSP mpeg4 Video. it can Convert DVD movies , IFO, VOB, RM, RMVB, WMV, asf, AVI, XviD, H.264, Mpg, dat, MOV,Q T, Mpeg2, MP4, MP3, FLV to PSP mpeg4. Joboshare PSP Video Converter converts video files DVD, VCD, SVCD, MOV, WMV, RM, MPEG, 3GP, AVI, VOB, etc. to Sony PlayStation Portable video format MP4 (H.264/MPEG-4), and also converts audio files including MP2, AC3, AAC, M4A, OGG, WMA to PSP MP3. Anyviewsoft DVD to Sony MP4 Converter integrated with DVD to Sony PSP Converter, DVD to Sony Walkman Converter, DVD to Sony XPERIA Converter can convert DVD to MP4 video for Sony MP4 players. Convert video files to MP4 format compatible with popular multimedia devices with Free MP4 Video Converter. You can save videos in high, standard and economy quality. It's clearly free and absolutely safe to install and run. Free Convert Video 2 SONY PSP is one of the best free conversion programs. Free Convert Video 2 Sony PSP is one of the best free conversion programs. It is very easy to use. It has a very good output quality and a fast conversion speed. It is free and contains no virus or spyware. It supports allot ov Video formats. So try it!